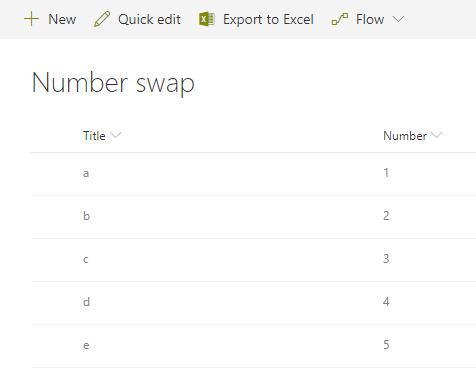 I wish to be able to swap the number fields around in 2 rows. Thanks for reading and hopefully helping. Browse other questions tagged list workflow number or ask your own question. Is it possible to import/export list from Sharepoint 2013 to Sharepoint 2010?